Thank you for your great observations and photos. In all the parks where I’ve done my coyote observations here in San Francisco, there have been antagonistic incidents between dogs and coyotes on some level — the incidents aren’t that common, but they have occurred. The most common type of incident is dogs chasing after coyotes, for which, in several instances, the dogs have been nipped on their haunches: it’s a message to leave them alone. Coyotes may seek out a particularly active or antagonistic dog and nip it — again, it’s a message that this territory is taken. Chance or surprise encounters have occurred where, say, both dog and coyote happened upon each other unexpectedly while hunting or playing. Incidents can easily be avoided by leashing-up and moving on whenever folks see a coyote, and by not allowing pets to roam free. With these guidelines in place, few incidents occur. Nonetheless, everyone should know how to shoo away a coyote just in case one should approach their pet. 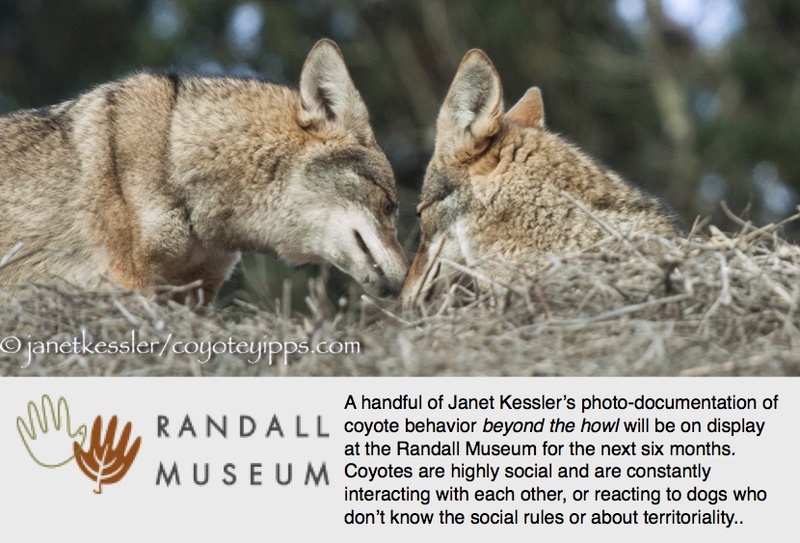 You might take a look at the video, “Coyotes As Neighbors” at the top of the CoyoteYipps home page for information about this. In an urban environment coyotes get used to — “habituated” — to human presence: this is because coyotes see people every single day, even if people don’t see the coyotes! Even so, coyotes have retained their wariness and distance from humans always, which I suppose could change if they were enticed through feeding. It’s important never to feed a coyote. So no, coyotes have neither become more nor less fearful of people over time. But I wouldn’t really say that coyotes are “afraid”, per se, of humans. Rather, I would say coyotes are “wary” of people, and it’s the wariness they retain. In all the parks where I do my observations, coyotes might hunt or hang out for short periods of time within view of walking trails, but they tend to eventually retreat to the more remote areas, or areas close to dense brush which they could escape into if they had to. 300 feet distance from a coyote is not close! Again, great photos and work! !